OSX Mavericks is here, and Apple has made it a free download via the Mac App Store. All you need to down load OSX 10.9 Mavericks is an Apple ID and a compatible Macintosh Computer. 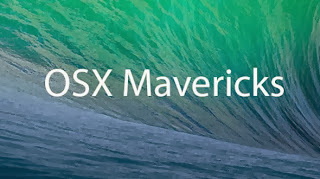 Below we have a list of all the computers OSX Mavericks is compatible with. You must have the Mac App Store in order to download Mavericks, which is avaliable in 10.6 or later. The install also requires 8GB of free space and at least 2GB of RAM. It is recommended to have at least 4GB of RAM or more. The Mavericks Download is about 6GB from the Mac App Store, so go download it now!